S. Kulandaivel | I.K International Publishing House Pvt. Ltd.
S. Kulandaivel is Lecturer, Department of Zoology & Microbiology, Thiagarajar College (Autonomous), Madurai, India. He is teaching Microbiology to undergraduate and postgraduate students. 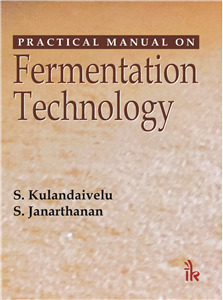 His area of specialization is fermentation technology and has been handling practicals related to fermentation technology since last thirteen years. He has published a number of research publications in reputed journals.